As a single mother generating as much income as possible is very important. This allows you to not stress over money when your full time job is just not enough. Here are 5 ways to create some extra income and getting your side hustle on. Telecommuting is when a company hires you but you work from your home office. You will usually go through the normal hiring process and just do everything via phone, video calls, and email. You still have to find the opportunities, put in your resume, do an interview, and get chosen for the job. This interview process will be different for each opportunity. Some interviews will be done by video and some will be over-the-phone. There can also be multiple interviews, it just depends on the company. But telecommuting can be a great way to start adding some extra income to your bottom line. Usually this can be done part-time after work or you can do it on the weekends depending on the company that you choose. Large companies like Amazon, U-Haul, Hilton, and other major companies are hiring people to work out of the comfort of their home and I think it is the perfect first way to start generating some extra income. 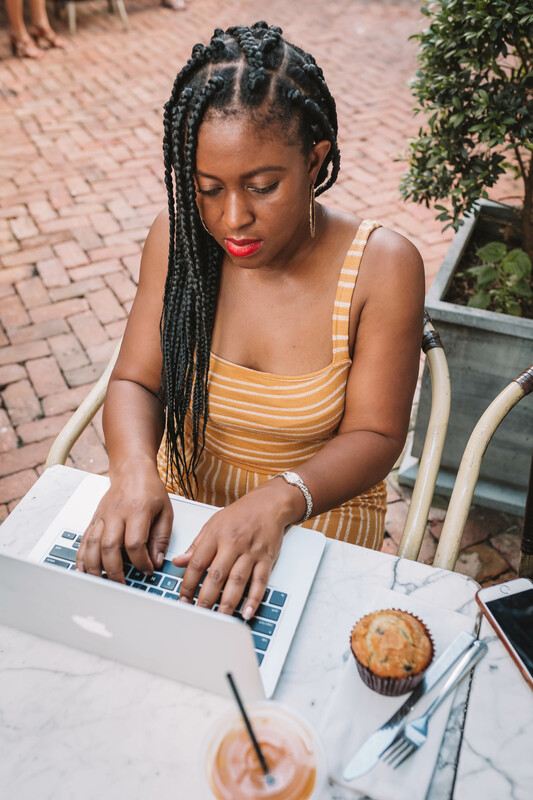 Freelancing is another great option for creating extra income because you’re using the skills and the knowledge that you already have and providing them as a service to somebody else. Fiverr is a great platform to start. You create a profile for the things that you want to do and begin to offer your service to millions of users. Are you good at graphic design? Can you write blog posts? Do you take great pictures? Whatever it is that you can do, you can go on Fiverr and you can create an unlimited amount of services to offer. Then, you can offer them for $5, $10, $15, whatever price you want. Just remember to price yourself fairly and checkout other people that are offering the service to see how you can add more value. I also think freelancing is amazing because you can do it on your own time. You will set your own schedule based on your life. That’s what I call a win! 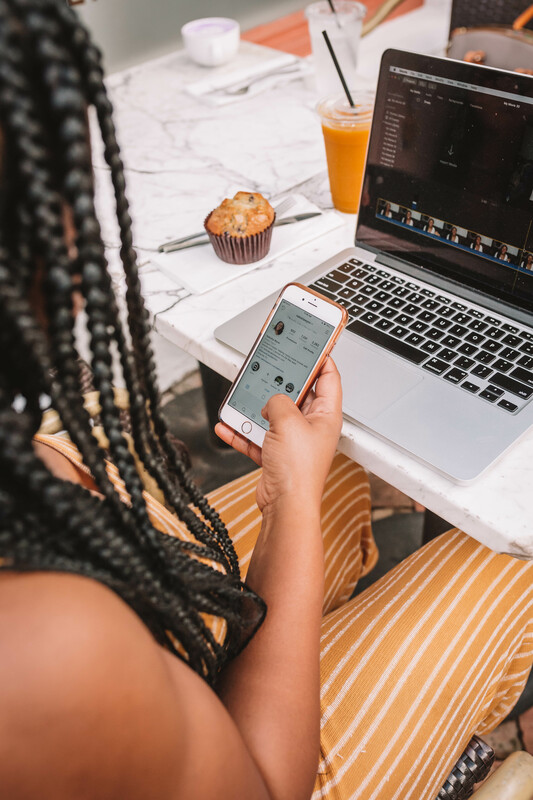 I absolutely love blogging because you can put your feelings and all the love that you have for whatever it is that you’re passionate about into blogging. With blogging, you first want to come up with what your topic is going to be. What are you going to blog about? Are you going to blog about motherhood? Are you going to blog about travel? Do you want to talk about gardening? Then, you want to figure out the people that you’re going to be talking to. Are you going to be talking to newbies who are just trying to learn what you’re doing? Are you going to be talking to people who are experienced and looking for ways to level up? Whatever you choose you should be entertaining, educating, or inspire your audience to be better through the content that you are putting out? Now blogging, is a long-term game. So you can’t expect to make money right away from your blog. But what you can do is cultivate your fan base, build up your content and continue to put out great quality work that people will want to come back to and visit over and over again. And when you finally get to the place of monetizing, you will having people ready to support you. Now there are multiple ways to monetize a blog. Affiliate marketing, product sales and sponsored content being my 3 favorite. But there are many ways to do it. I think blogging is perfect for single moms because it’s simply telling your story and talking about the things that you are passionate about. And best of all you can include your kids. So you don’t have to worry about finding a sitter or anything like that. You can actually make them a part of that extra income opportunity for your family. Online tutoring has kind of become all the rage over the last few years. It has become really popular with stay-at-home moms and professionals looking for ways to create some extra income after their corporate jobs. A major company that is providing that service is a company called VIPKID. VIPKID is a company that allows children from other countries to learn the English language. So you will be teaching children to speak English virtually through an online platform. This tutoring position does require you to have a bachelor’s degree and one year of experience working with children in some capacity. VIPKID does allow you to create your own schedule and you can do it as little or as much as you’d like. Again this is perfect because nobody is telling you when to go. You can plan it around your life. I absolutely love mystery shopping because it allows you to go and experience a service and give your opinion back to that company on how you feel their customer service was. You will be rating the level of service, the cleanliness of the establishment, etc. I haven’t made a ton of money with mystery shopping but I have gotten some amazing meals and experiences out of it for my family. I absolutely love it because I can bring my kids on the mystery shops with me, get a free experience and a few coins for my time. I’ll take it.